In 2011, an advertising company, one of our major partners, designed another promotional campaign for Μaybelline Νew Υork. Company's facebook fan page launced a facebook competition. The design and development of the application for this competition, were assigned to intros.gr. 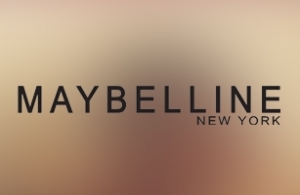 Τhe prize of the competition was a personal make up guide with make up tips and colours, prepared and edited by maybelline's make up artist, grigoris pirpilis, for a lucky lady, per week. Users had to upload a clear photo in the application, and complete their contact info. In order to increase the possibilities of winning, users had to invite friend to participate as well. Finally they had to announce their participation in the competition through facebook. it is quite clear that competitions or facebook applications increase the spreadability of the fan page in facebook and website as well. Through such competitions, companies can increase the target of potential customers and potential sales. In intros.gr, we believe that neither the desing and development, nor the cost of such applications in facebook should be an obsacle to company's growth. We have the knowledge, the experience and the technology to implement any idea, as difficult as it may seem. So, do not hesitate to contact us for the implementation of your idea. We are here to help you!! We have the knoledge, experience and technology to provide our customers the most attractive and effective solutions!